A trip to Madison - or anywhere for that matter - wouldn't be complete without trying some of the local pizza. And when you're on campus at U of W, I think that means heading to Ian's for some Mac-and-Cheese slices. 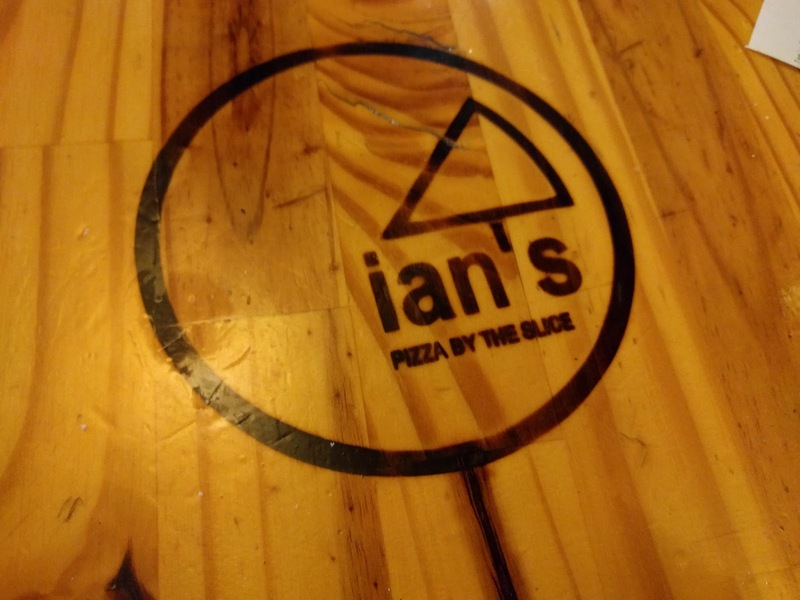 I first came across Ian's when they opened in Chicago back in 2009. 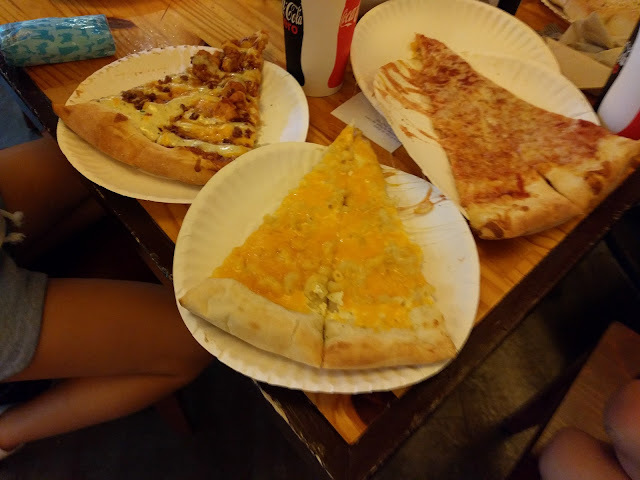 Here's a post from Slice/Serious Eats that talked about their 'kinda-famous' Mac-and-Cheese slice. First time I'd heard of something like that and ever since, Ian's has been on my radar. Looks like Ian's in Chicago didn't make it and is now a Dimo's? But, back to Madison. With some time to kill and a walk around campus towards the State Capitol, we went to Ian's on State Street and ordered a wide range of slices. Of course, we had the Mac-and-Cheese. But the girls also tried the cheese. We also ordered the Macadilla Killa - which has Mac-and-Cheese in it but also buffalo chicken and a weird tortilla top. Didn't love it. And I think we had a Smokey the Bandit. It had ranch on it. Which they heated in the oven. And it was weird. Good....but weird. I have a feeling that Ian's is a lot like Papa Del's down in Champaign. The pizza itself isn't great to outside observers. It is all about the memories that the place and the sights/sounds/smells conjures up that bring alums back to a place in their lives that makes them feel something special inside. 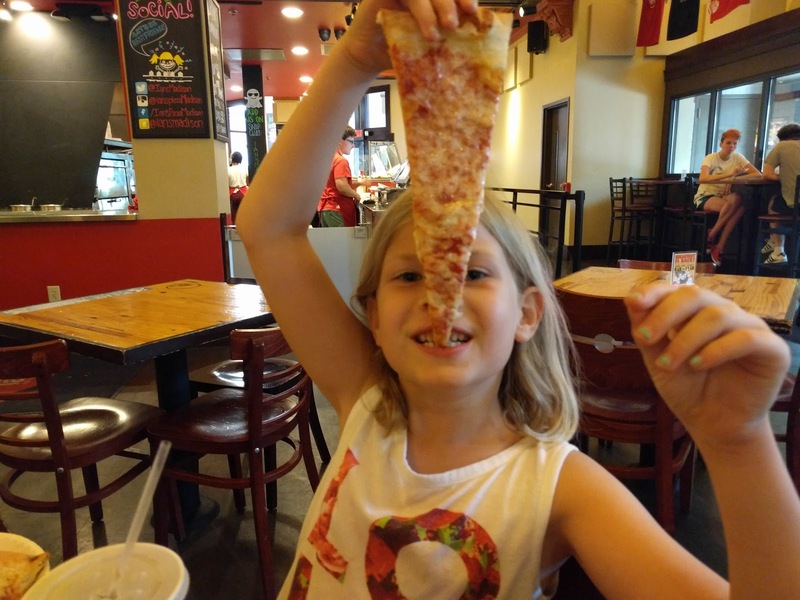 I used to rave about Papa Del's and have taken Nat and the kids there multiple times. Nat thinks the pies are average at best and tells me that I'm fooling myself. I think she's probably right. But, Papa Del's was a rare treat. And it was expensive. So, the only times we ever really went there was when my parents would come down. Post football games in Memorial Stadium. And being with them, after being on the sidelines (not the field mostly!) probably made the meal and the pizza super special to me. So, I've attached these feelings to this ordinary (likely!) deep dish pie. I'm thinking the fans of Ian's have done the same thing here.